Centennial Park was originally constructed in 1960's as a centennial project. Starting in 2007, the Town began the Centennial Park Renewal Project. Since that time we have spent over $6 million dollars improving site drainage, visitor parking, the tennis courts, the aquatic centre, our arena and the Rotary pavilion. 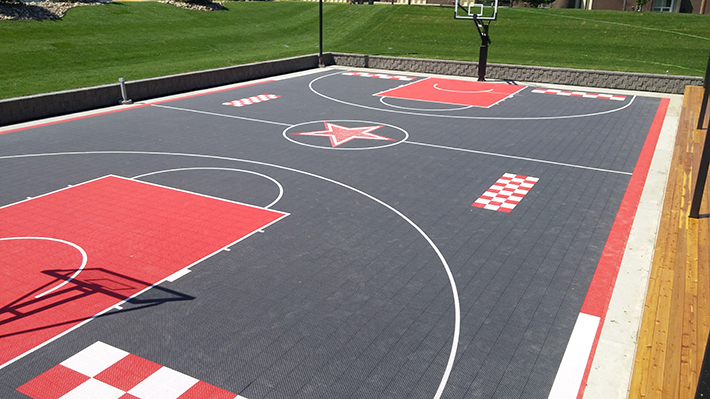 The newest component of this project was the development of a 9.5 foot grass amphitheatre to surround our feature outdoor regulation basketball court, a new mini-court and our improved beach volleyball court. 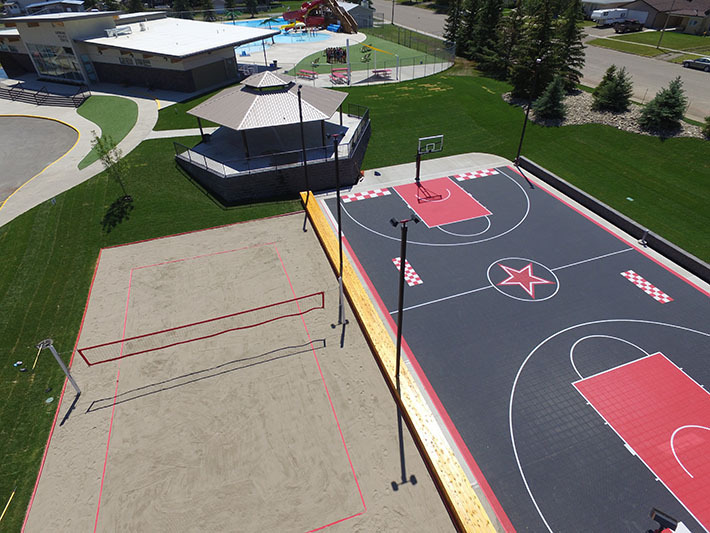 All of these courts are lit and a wide assortment of park amenities have been included, such as picnic tables, benches and recycling and waste receptacles. Storm water drainage infrastructure and irrigation was also updated. Park is located at 60W 100N.